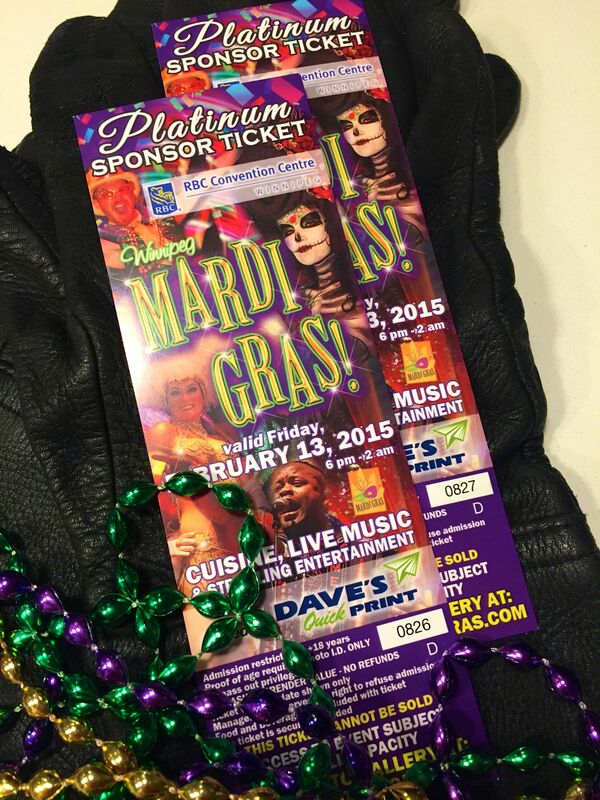 As mentioned earlier this week, I have a pair of Platinum Sponsor Tickets for the 10th Winnipeg Mardi Gras party good for the Friday, February 13th evening. This is my first giveaway contest on à la Claude – the contest idea was suggested by a good friend. I think the contest should align with the prize – or should I say align best with the prize night… Friday the 13th! We all know Friday the 13th is thought to be fraught with bad luck, mishaps and misfortune. Since this blog is about my culinary adventures, I propose this post and contest be sort of a confessional – an opportunity to reveal an unfortunate occurrence in your kitchen. We’ve all had them – mistook the salt for sugar, scalded some milk just a little too long (Is that burnt toast I smell?!? ), didn’t temper those egg yolks properly and ended up with scrambled eggs instead of a creamy custard? I’ll open the dialogue my sharing some of my missteps. My blog usually showcases creative and colourful creations – now it is time to humanize my kitchen adventures. Life isn’t always rosy in the kitchen – sometimes you really do get stuck with lemons! Finally, my most momentous and significant Friday the 13th moment in the kitchen. I will need to give some context to set the scene. I grew up in a very bilingual family. In fact, we often spoke English and French intermittently peppering words of either language into sentences. Our family cookbook was oft transcribed as pages became soiled or recipes came in and out of vogue. The process included some shorthand that is easily understood by a seasoned cook or chef. A capital T would signify Tablespoon while a minuscule t would represent teaspoon. Depending on a recipe’s origin, it would either be written in French or English – with c. representing cup and t. it’s French equivalent tasse. As a young boy of 8 (or so), one of my childhood magazines (maybe Owl?) had a chocolate pudding recipe. I pleaded with my parents and was granted permission to make my very first batch of chocolate pudding. Somehow, I mistook 1/4 t. to mean a quarter cup. This wouldn’t normally be a big problem for chocolate pudding – but this was the measurement for the SALT! I cooked away, completely oblivious to my error. Once it had thickened and looked beautifully glossy and velvety, I took a quick taste. ARGH! What to do? I ended up using the rest of the milk in the house to try and rescue this salty disaster. There was no saving this failure. Ever since, I’ve paid very close attention to the language and logic of ingredient amounts. Now it’s your turn. Post a comment to this post with a tale of your culinary misadventure – best stories will win either two tickets for Friday the 13th’s Mardi Gras party (for a Winnipeger) or a Cajun delight that will be sent to a subscriber from afar. You have until next Wednesday, February 4th to post your story. My most memorable kitchen mishap happened on Thanksgiving 1988. My now husband Donald and I had just moved in together in the main floor of a house on Montrose St near College Ave in little Italy, in Toronto. In an effort to try and impress my honey, I decided to make a pie from scratch for the dinner party we were hosting over the holiday. I found a recipe from the very prestigious magazine at the time “Food and Wine”. The pie I chose to make was an all American apple pie. I followed the recipe to the letter. However, having never made a pie before and not versed in any sort of dough making, I felt the pie dough was too dry and crumbly. I decided to add water and knead. I decided the dough required more water and more kneading until finally the dough was very pliable. I proceeded to roll it out, fill the pie with the apple filling (also made from scratch) and place the pie lid on top with the appropriate vents. I glazed the top with an egg wash and admired my gorgeous looking pie. And it looked picture perfect. I baked the pie and when I took it out of the oven, I relished in its beauty. Once cooled, I tried to slice it. Oops, better get a bigger knife. Nope. Better try a serated knife. Nope. Nothing was going to cut through this pie. It was as hard as ceramic! Don took the pie and a screw driver and tried to chisel it out of the pie dish in the back yard. Nope. This thing of beauty was going to stay that way never to be tasted and only to be admired by its maker. I have since improved my pie making skills however, not without shedding many a tear. Bakers, you are not alone out there.